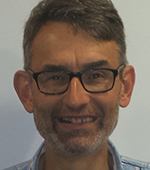 Piers Tremlett has over 20 years experience working in the development of new packaging processes and designs within Microsemi’s Advanced Packaging Business and previously with Lucas Automotive, Sensors and Controls. He holds a BSc in Metallurgy & Material Science and an MSc in Management, Manufacturing and Technology. He is Microsemi’s senior Microelectronics Packaging Specialist with experience in System in a Package, PCB embedded die and high temperature electronics packaging.